For some unknown reason I have never managed to get a good photograph of the Wellington monument in Trim and this year the result was not much better. 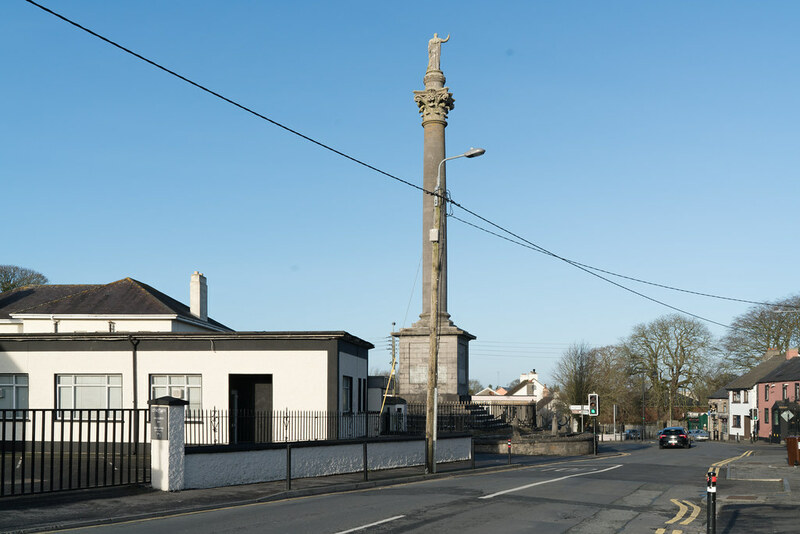 More than a few visitors to Trim are surprised when they come across the Wellington monument in Trim. It is falsely claimed by political opponents that when asked if he was really Irish he said “that being born in a stable didn’t make one a horse” but the people of Trim were not inclined to remove the memorial because he was actually well liked in the area. This monument was erected in 1817, two years after his victory over Napoleon. The statue depicts the Duke in military uniform, with one arm raised in blessing or triumph. According to my grandfather there was sword in his upraised hand but he could not remember what happened to it or when.